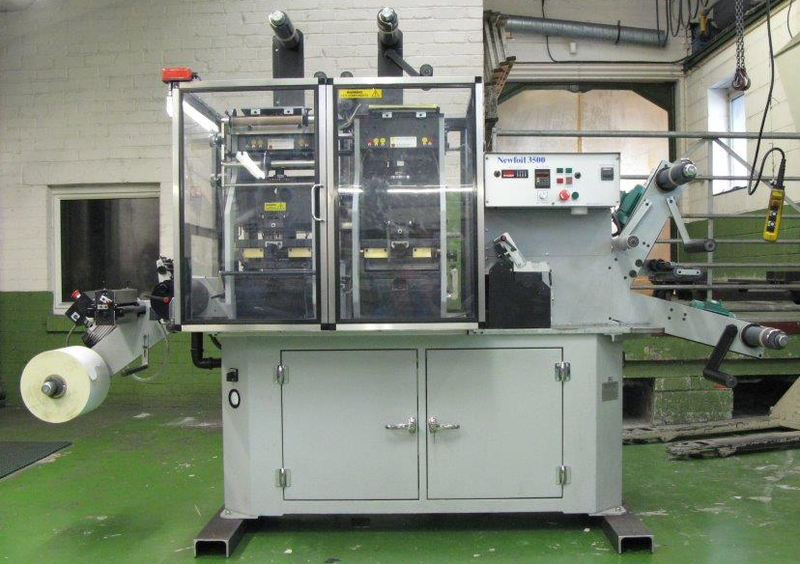 Newfoil Machines Ltd. have a range of high quality pre-owned hot foil printing machines and converting machines available. These machines have been fully reconditioned at our factory to the highest standard, with all unserviceable parts being replaced. Upon completion, the machines undergo the same rigorous inspection and testing procedures as carried out on new machines, which allows us to add a six months parts only warranty. Please Contact Us and we will be more than happy to discuss your requirements. Due to sales of our new Servo equipment at the recent Labelexpo Americas 2018 exhibition, Newfoil Machines Ltd have available from stock, high quality reconditioned and pre-owned Hot Foil stamping, Embossing and Converting machines. All reconditioned machines purchased direct from Newfoil Machines Ltd are fully rebuilt with any unserviceable parts either reconditioned or replaced with new prior to dispatch. The reconditioned machines undergo the same extensive testing as brand new equipment, allowing us to offer a 6 months parts only warranty. No photo available at the moment. Review of Newfoil Machines ..Label Tec Scotland..
Review of Newfoil Machines ..Master Craft Labels Inc..